This was another great year for the Homesteaders team at the NFDA convention. 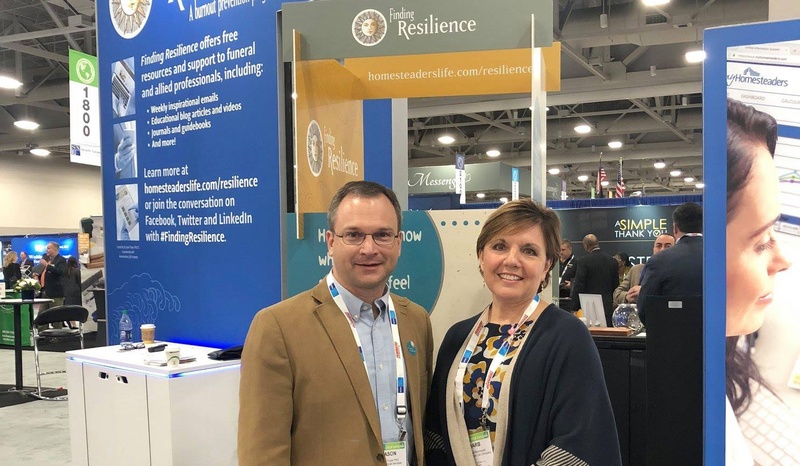 Thank you to everyone who joined us in Salt Lake City (or followed along with our coverage on the Homesteaders Facebook Page) for an experience full of learning, networking and sharing resources to help grow your funeral business and better serve families in your communities. In case you haven’t had a chance to catch up on all of the convention highlights, we’ve compiled a recap of a few of our favorite moments. Keep reading to find out what you may have missed. 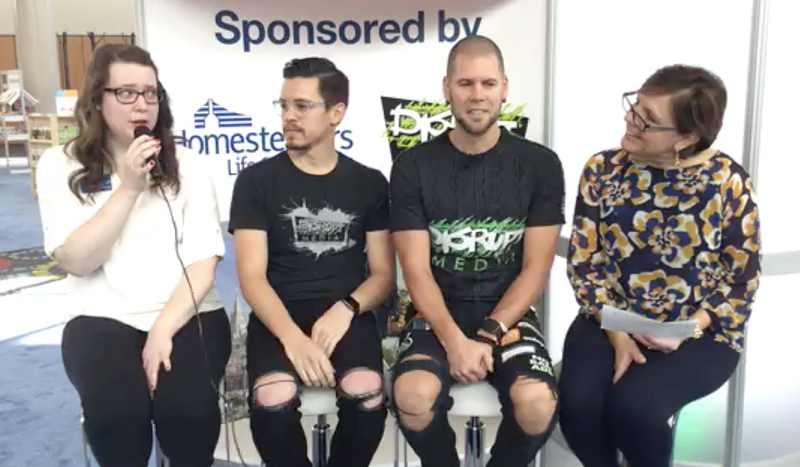 Homesteaders and DISRUPT Media sponsored the NFDA Social Media Lounge, bringing insights about successful funeral home social media strategies. Each day of the Expo, the lounge served as the setting for valuable digital marketing panel discussions. Panelists Welton Hong, founder of Ring Ring Marketing, Ryan Thogmartin, CEO of DISRUPT Media and Greg Norris, regional director at Homesteaders discussed the value of traditional and digital marketing tactics such as direct mail, community presentations, search engine optimization and social media to promote prearrangements in your community. Experts from DISRUPT Media, Consolidated Funeral Services and Answering Service for Directors shared ways that funeral homes can utilize all types of digital communication to provide the best customer service possible. They offered insights on how to translate a great online customer service experience to an outstanding in-person customer service experience, and also shared recommendations for when and how to use artificial intelligence (AI) technology in customer service. Our final panel discussion at this convention provided insights about using Facebook and Instagram stories to promote your funeral home business. The discussion covered the rise of social media “stories,” the type of content that works best and how businesses can utilize this feature to get in front of their audience. 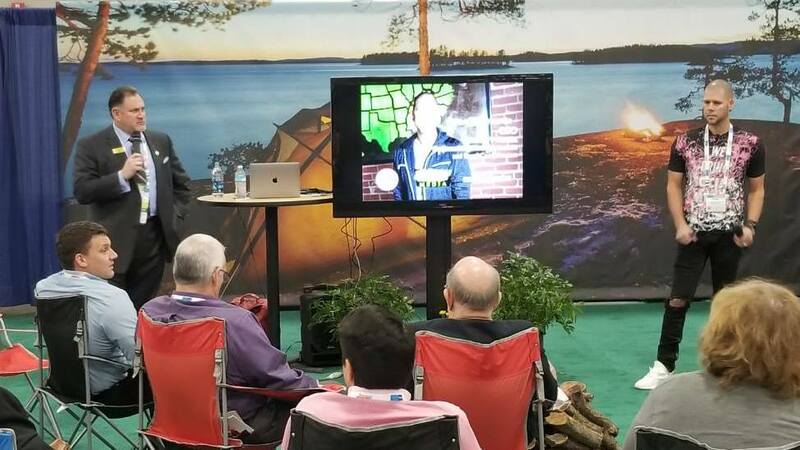 At our booth, we shared details about what’s new at Homesteaders including technology innovation, marketing resources and customer programs. We also celebrated the benefits firms can receive through our Casket Price Protection Plan® with Matthews Aurora™ Funeral Solutions. Another highlight of recent conventions is the addition of the Campfire Exchange sessions. During Monday’s discussion, Homesteaders’ Senior VP-Marketing & Communications Dean Lambert and DISRUPT Media CEO Ryan Thogmartin shared how to build a pre-need strategy through social media platforms. To learn more about leveraging social media resources, including step-by-step instructions for getting started on Facebook for Business, download the Social Media Guide for Funeral Professionals. 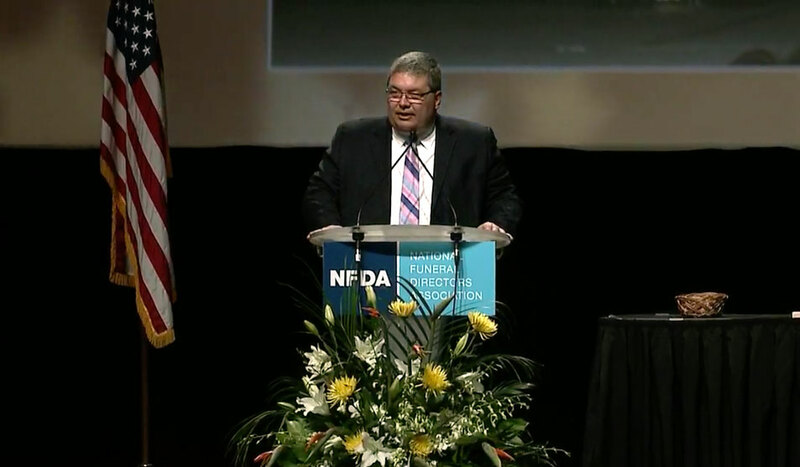 Homesteaders was proud to sponsor this year’s NFDA All-Star Recognition Ceremony. Honorees at the event included Pursuit of Excellence Award recipients, Certified Preplanning Consultants, Funeral Service Foundation award recipients and many other exceptional firms and funeral professionals. If you’d like to apply to be recognized as one of the 2019 Pursuit of Excellence Award recipients, application information for the program is now available on the NFDA website. The deadline to submit your materials to NFDA for consideration is July 15, 2019. For both new and returning attendees, the convention offers many opportunities to become immersed in emerging trends in the profession. At the Expo, many companies and organizations shared products and services that can help you differentiate your firm and meet the changing demands of today’s consumers. 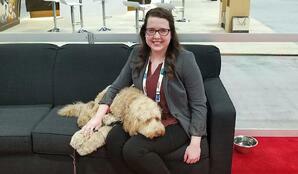 For example, one of the highlights of the convention was the therapy dog area, which allowed attendees to interact with dogs who can bring comfort and joy to grieving families. What were your highlights from this year’s convention? What are you looking forward to at the 2019 NFDA International Convention & Expo in Chicago? Share your thoughts in the comments below.